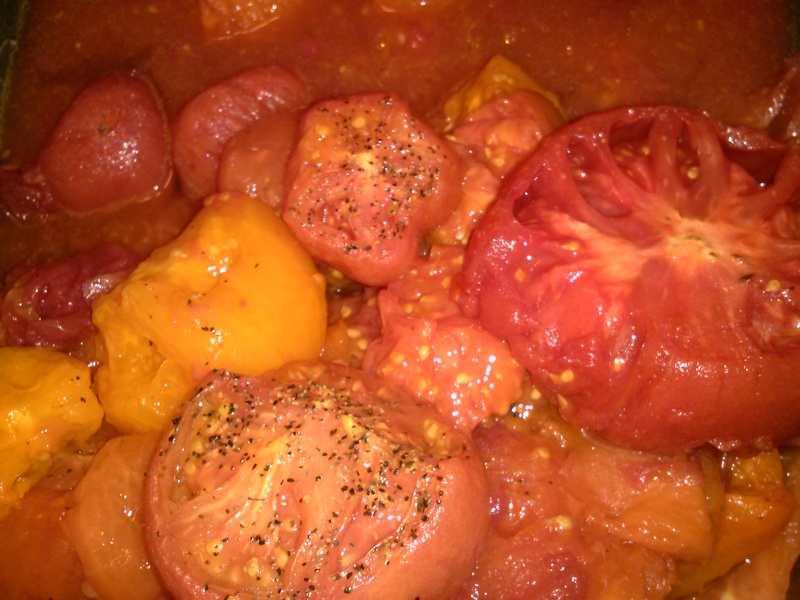 Roast tomatoes in pan with some olive oil, salt and pepper for about 45 min at 350 degrees. Once roasted, you can either put tomatoes, garlic, onion, and basil in blender for a creamy blended soup, or if you like chunky soup you can just transfer tomatoes into pot and start adding your ingredients. Add butter and milk, and maybe a little more salt and pepper depending how you like it. Let simmer on the stove for 10 minutes or so or until you feel its ready. Make a grilled cheese sandwich and use soup for a dip. it is so yummy and perfect for this chilly fall weather! !